Need to get caught up before the next round of field notes start? Trying to remember everything that happened in Olduvai Gorge? 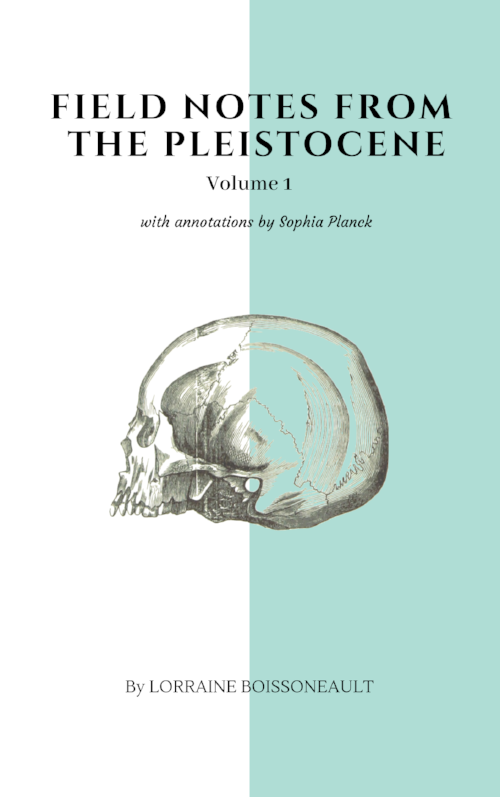 Part I of the Field Notes are now available as a Kindle ebook! Not only do you get all the letters in one easy-to-read collection, you’ll also see research notes from Sophia Planck, the Origins Mission director of communications. We hope you’ll take a look and consider buying it for yourself or a friend! Head here to grab a copy. Follow two intrepid scientists one million years back in time to uncover the history of Homo sapiens and the species that came before us. Who were the ancient ancestors of our species? Why did only Homo sapiens survive? Our two achroniologists will try to find out! Read more about the mission here and get to know our time-traveling scientists in their Q&A. Sign up with your email address to receive the Field Notes. You’ll get weekly updates from the two explorers as they explore the distant past and the story of human evolution. Thanks for subscribing! Make sure to check your email for the confirmation, and add “media@originsmission.org” to your contacts so the newsletter doesn’t get sorted as spam. If you’re new to the story and need to get caught up, head to the Field Notes blog for all the previous entries. Want to learn the science behind the story? Check out "Just the facts" and the dig in blog for tales of real research.